For some chef this can be a moment of rage or anxiety, but I take it as a challenge. We had a table of 7 guest and two of them had dietary restrictions and shared similar menus. I did not get a photo of each dish but I snapped one of the last savory course for the vegan diner. I had a chance to showcase some of the beautiful produce that we currently have. 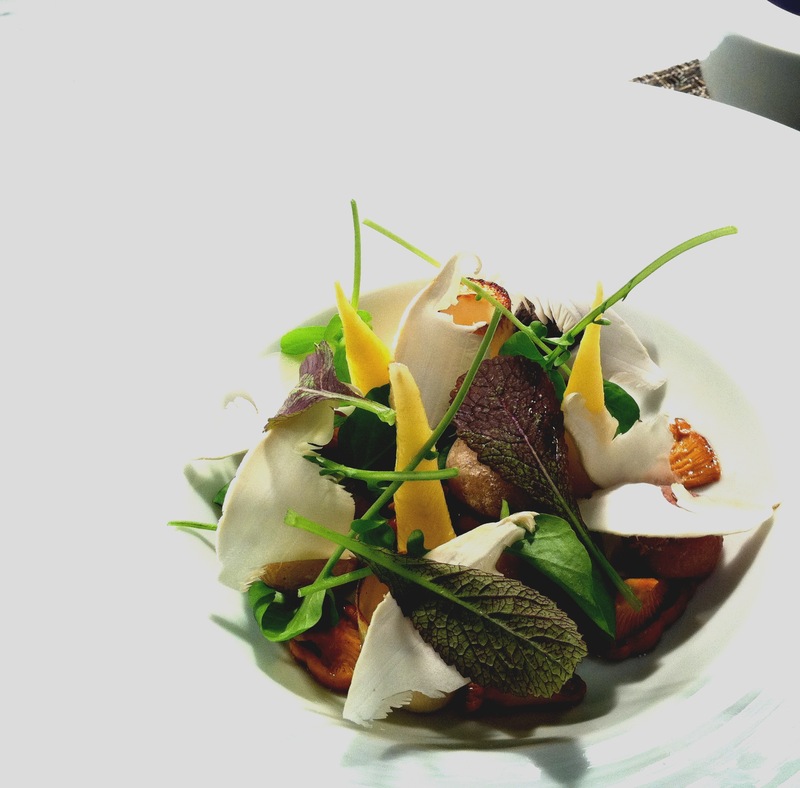 Each vegetable or leaf was treated and presented in its own manner in order to showcase its natural texture or flavor. Then to finish the dish a mushroom dashi was poured tableside. This entry was posted on Thursday, December 1st, 2011 at 2:24 am	and posted in Uncategorized. You can follow any responses to this entry through the RSS 2.0 feed.